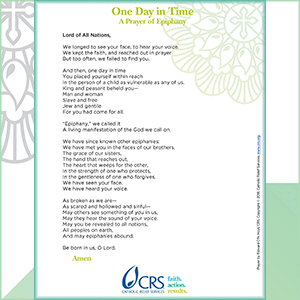 Each month, Catholic Relief Services publishes a new prayer that we ask the US Church to join us in praying. Seeking God's guidance together, we are drawn closer together, and perhaps get a peek beyond the veil at the Kingdom he has promised, as together we work to make that Kingdom a reality for all. We ask that God strengthen us and draw us closer to him as we do his work in the world. Below, please view our archives of prayers from past months. Our current prayer can be found here. 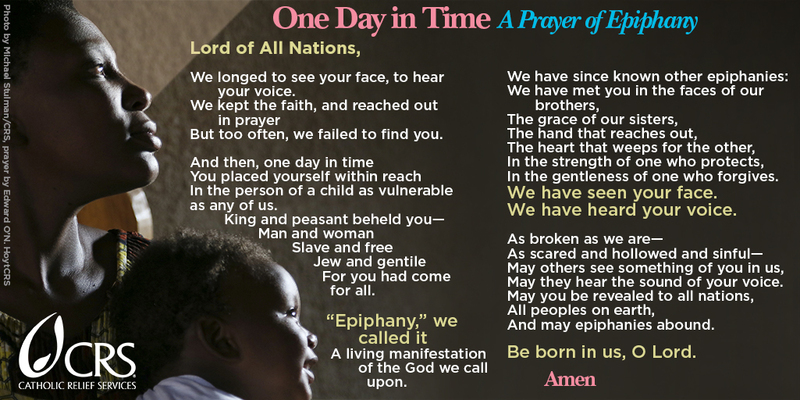 "One Day in Time: A Prayer of Epiphany"
A prayer of thanks toing the Lord, for the gift of revealing himself to all nations, and ask that he continue to be revealed in the works of his children.